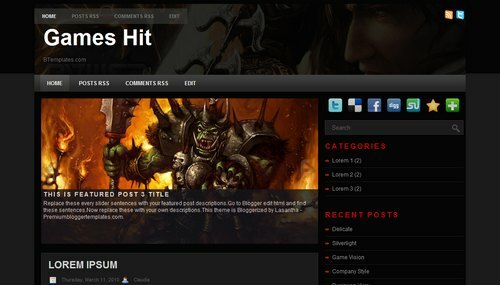 Description: Games Hit is a free premium blogger template adapted from WordPress with 2 columns, right sidebar and magazine-styled. Excellent layout for blogs about games. Nice template .I just absolutely love your style. Its so inspiring, along with this layout. LOVE IT ALL! The layers and elements are all perfect.